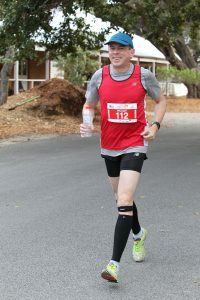 Race Review: 2018 Goodlife Rottnest Island Marathon (by Doctor Will) | JustRunLah! Ten years ago, when I first started running, I ran my second marathon only 6 weeks after my first. I told myself I wouldn’t do that again, and I haven’t. Instead, this month, I ran a marathon only 1 week after another one. 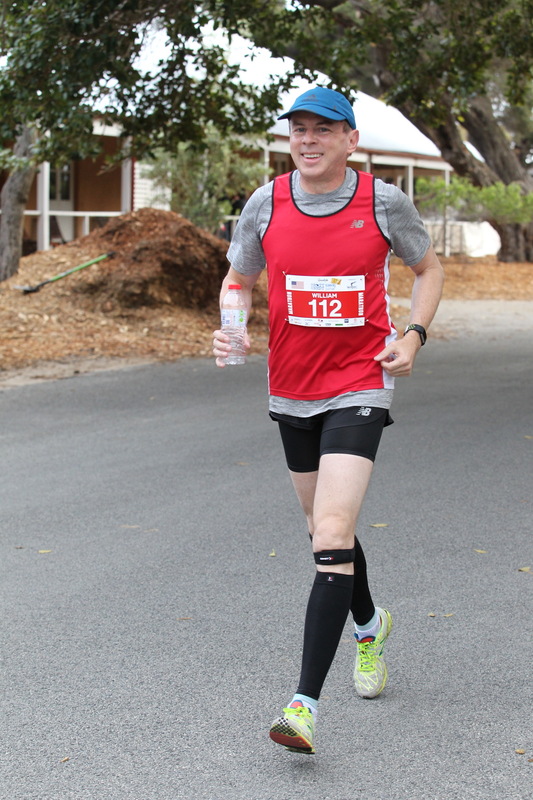 The Goodlife Rottnest Island Marathon celebrated its 25th anniversary this year, and the race was more fun that I could have imagined. 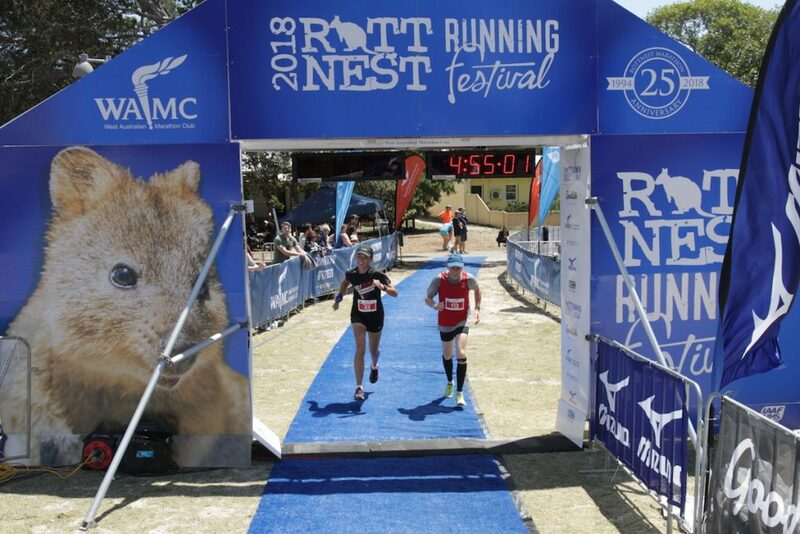 It’s held on Rottnest Island, a nice little getaway 18km off the coast of Perth, Australia, and is organized by the West Australian Marathon Club. These folks know how to put on a good race. 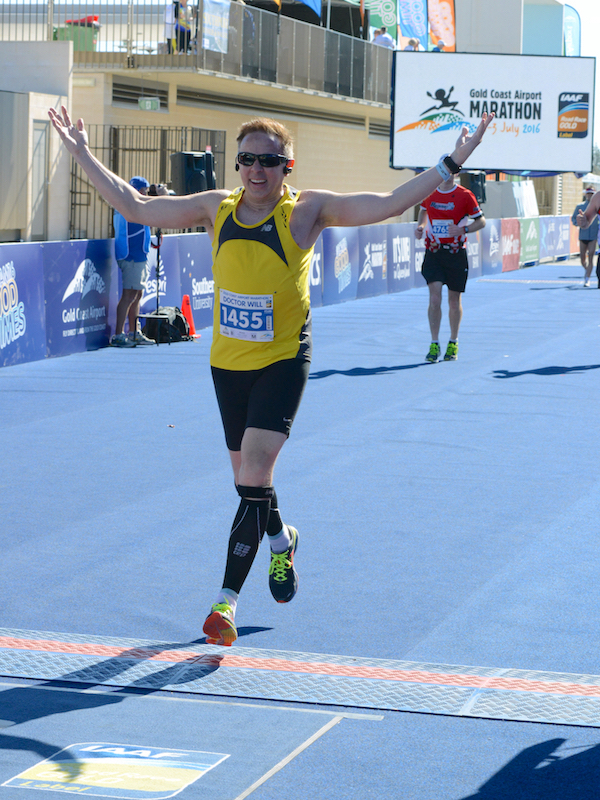 Why was I running marathons two weekends in a row? Well, I’d been planning all year to run the Melbourne Marathon, and one of my friends saw that and sent me a note. It seems a bunch of my running mates from the 2014 Antarctic Ice Marathon and 2016 North Pole Marathon were gathering for the Rottnest race (a couple folks in this group live in Perth and invited people to join this year). My friend’s point was, “you’re already in Australia, just stay an extra week and come on over,” and that was pretty convincing, so I did. 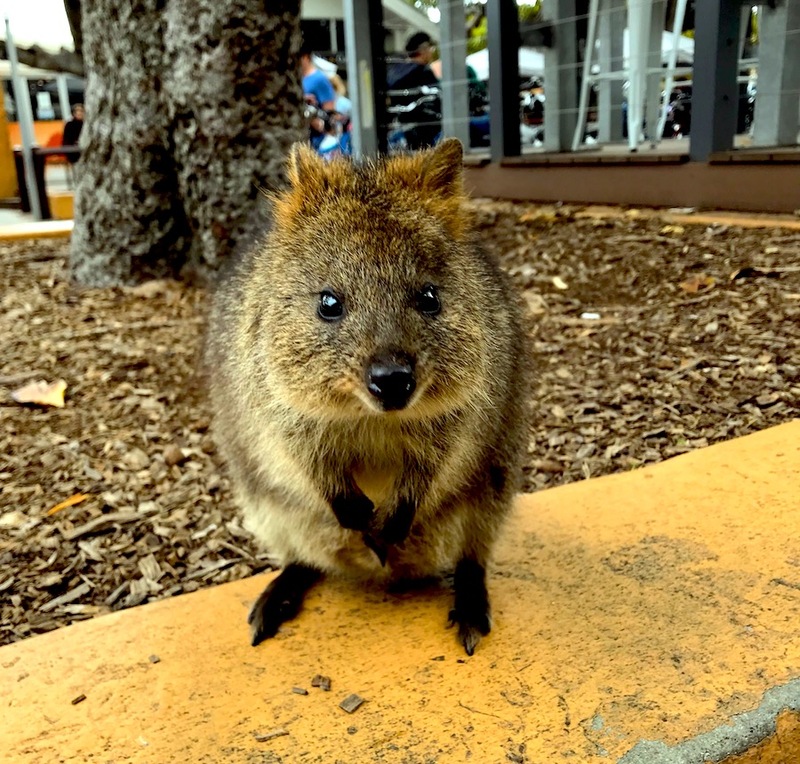 Most of us arrived by ferry on Friday, and immediately started taking photos of quokkas, the little marsupials that are indigenous to the island and that are incredibly cute. Rottnest Island has a range of accommodations, and most of us stayed at the budget end of the spectrum in a pair of cabins, old World War II barracks that now hold up to 13 guests. At least I wouldn’t have to worry about sleeping through my alarm; surely, someone would wake me on race day. Still smiling, so it must be the first half of the race. Race day came, and I had decided to add a performance t-shirt under my singlet, and a cap in case it rained, but otherwise go with my normal gear. We arrived at the Starting Line for the 630am start, greeted by the sound of bagpipes. The pipers are a tradition at Rottnest, and we would see them again. 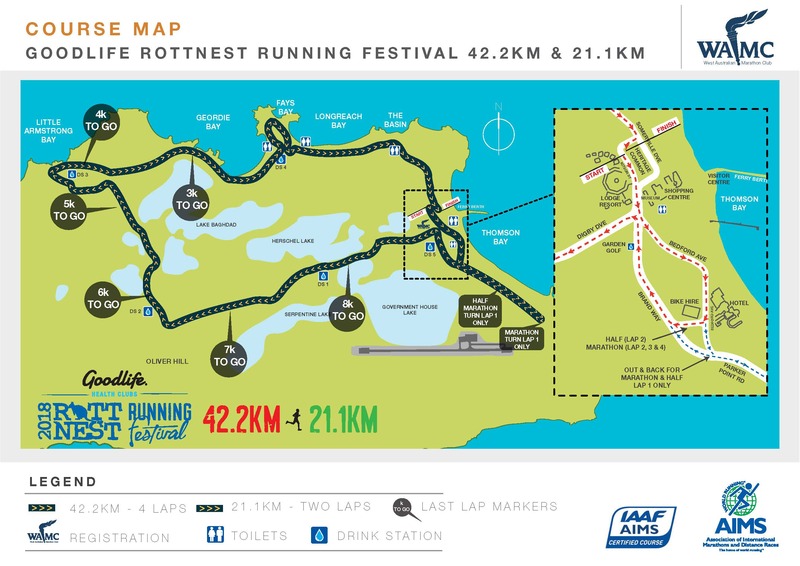 There were 182 runners, and at the beginning we ran a 2.2km out-and-back loop, then followed that with four laps of a 10km course on the roads around the eastern end of the island. Our group of friends spread out pretty quickly, though I always had at least one of them in sight. About 7km in I met a Taiwanese runner who is working in Australia, and after chatting a bit we realized we were both hoping to finish around the same time, so we decided to run together. If the weather forecasts during the previous week seemed to be fluctuating, that was nothing compared to the fluctuations in the actual weather on race day. To start with, the winds got up to around 35kph, and for some reason, no matter which direction we were running, they always seemed to be a headwind. There were times when the clouds would seem to drift away and the sun would be beating down on us, then suddenly we were getting rained on. It seemed like there were little microclimates all around the island, and after a couple laps I knew what to expect at different points. I didn’t see many animals along the course other than the 18 species of birds who call it home. The quokkas are mostly nocturnal so they were still sleeping off their shenanigans from the night before, and I didn’t see any snakes, though some of my friends did; since the Dugite snakes are among the 10 most venomous snakes in the world, that offered a pretty good motivation for them to run faster. For some reason, I had come to the island thinking it would be flat. What a joke. I never really appreciated what the term “rolling hills” means until I ran over the rolling hills on Rottnest Island. Once again, since we were running four laps, we could at least get used to the terrain changes and know what to expect. The bagpipers made another appearance at what appeared to be the highest point on the course, and here I discovered another Rottnest tradition. As you made your ascent toward the pipers there were two very energetic cheerleaders on the road, with a sign that said, “Yell when it’s your last lap!” The reason for the yell – which I was very happy to finally do – was that they would hand you a gold coin so that when you got atop the hill you could “pay the piper,” dropping the coin into a bucket there. It felt really, really good to do that, because I knew I only had about 5 kilometers remaining. By this point my Taiwanese colleague had cramped up and suggested I keep going and he would catch up. Since I was feeling surprisingly good, I had gone ahead, and even in the final lap I was amazed by how much energy I had. I would normally expect to hit the wall around 30km, but for some reason I entered that last lap feeling very strong. The climb up the hill to “pay the piper” was tough, but I still had a good stride coming off of that. Entering the final two kilometers I felt myself starting to fade, and one of my North Pole mates who had been just behind me for much of the race caught up and passed me. We stayed pretty even with each other as we came down the final hill and entered the last kilometer toward the Finish. I had not been paying much attention to my time; unlike Melbourne the previous weekend, this race was just supposed to be fun, without worrying about specific goals. After all, if I was ever going to have an excuse for running slow, “I ran a marathon a week ago” was a pretty good one. The sun was very bright and I wasn’t able to read my Fitbit clearly, so I just ignored it. But as I approached the Finish I could see the clock, and it appeared to be about 1 minute below my timing goal from the previous week. I suddenly kicked it into gear, passing my North Pole friend, then realized the clock was actually 6 minutes below my previous timing goal, so I slowed down and we ran across the Finish Line together. 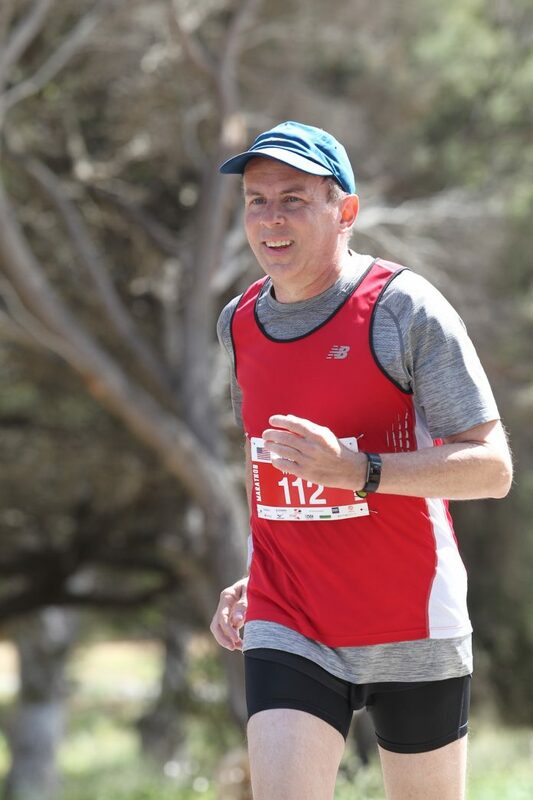 In the end, I was 13 minutes faster than I’d been in Melbourne – my fastest race in over three years – which made me think maybe I should run a marathon every weekend, if that’s going to be the result. This was the smallest marathon I’ve ever run, and in some ways that made it a lot more fun. Sometimes, instead of the large expos and the big city streets and the bands and cheerleading squads, it’s nice to just get out there and run, to see what your body can do and how you respond to different challenges. I highly recommend this race for city runners looking for something different. 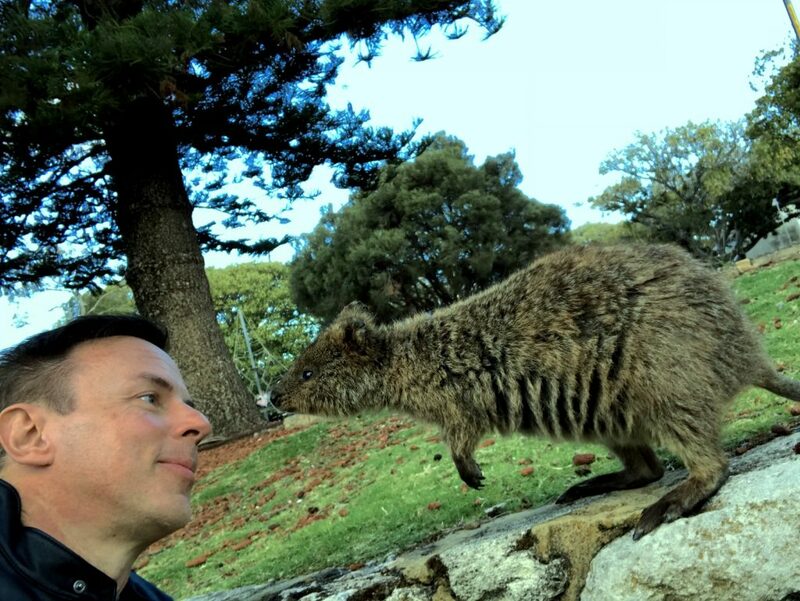 Go with family or a group of friends, stay on the island a few days, meet the quokkas, and just have a good time.